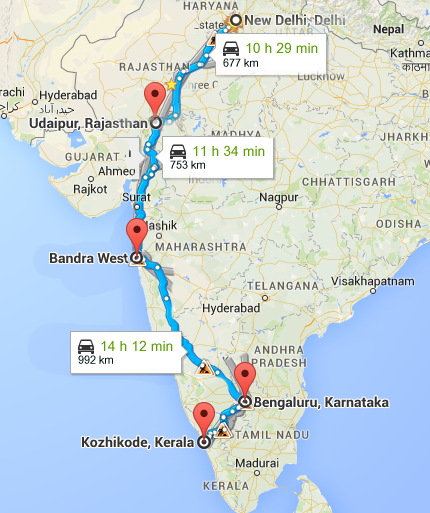 We drove 2400+ km in 3 days through Gurgaon > Udaipur > Mumbai > Bangalore in a brilliant Fiat Punto. It’s a 90hp diesel with 190mm tyres. On day 1 we did 600 kilometres, day 2- 800 km, day 3- 1000 km. 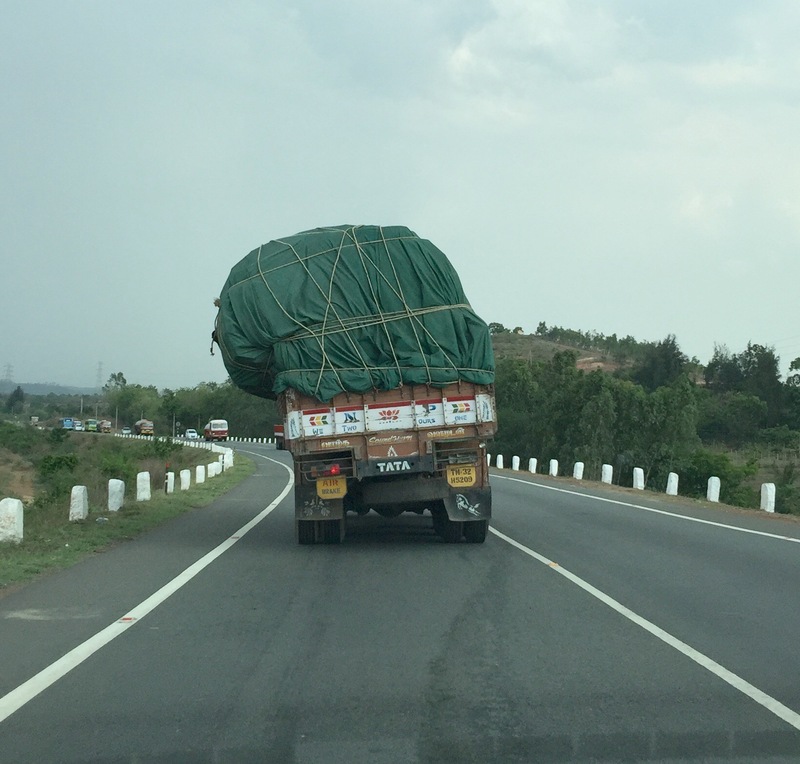 Devinder was returning home from a Bangalore > Bhutan > Delhi trip. I hopped along for the last stretch. From Bangalore I took an overnight bus to Calicut, Kerala. We left from Gurgaon at 8:30am. Filled up diesel in the Fiat Punto. Stopped for lunch before we reached Jaipur. 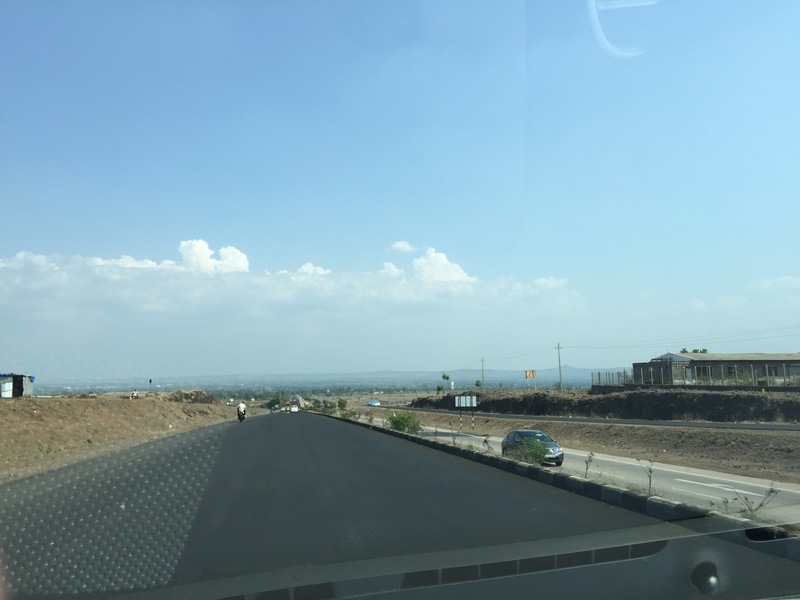 Roads in Rajasthan are mostly complete on the highway. The drive was fantastic. Devinder Singh has the stamina and the courage for long road trips. The Fiat Punto keeps pace with him. Udaipur lake palace area is beautiful. We stayed at Aashiya Haveli. One night during off-season cost us Rs.1400. We spent the evening walking around the palace. We reached the ticket counter quite late but we could buy tickets for Rs.30 each and walk around. Day 2 – 6a.m. 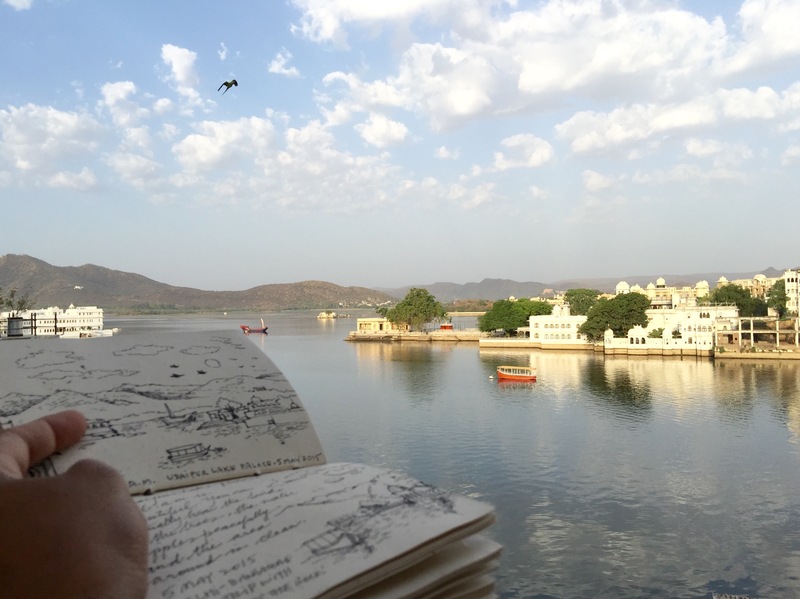 at the Udaipur Lake palace is a beautiful experience. It’s quite and serene here. Roads in Rajasthan are excellent. 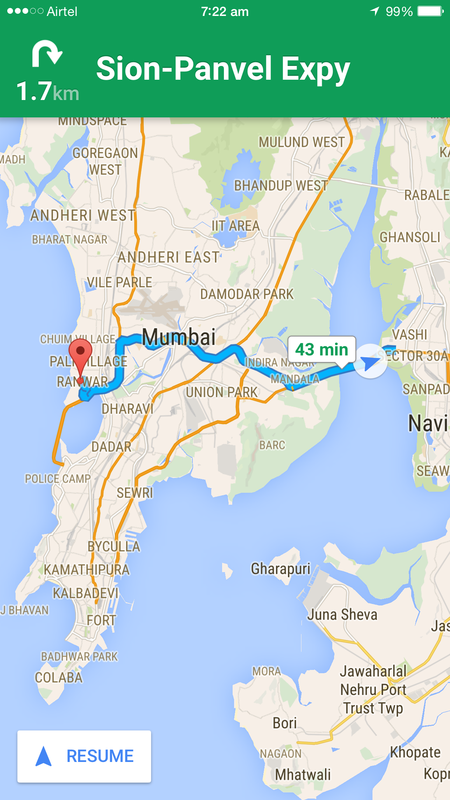 The drive down the highway towards Mumbai is very pleasant but it gets hotter in the noon. Temp floats at 43 degrees. 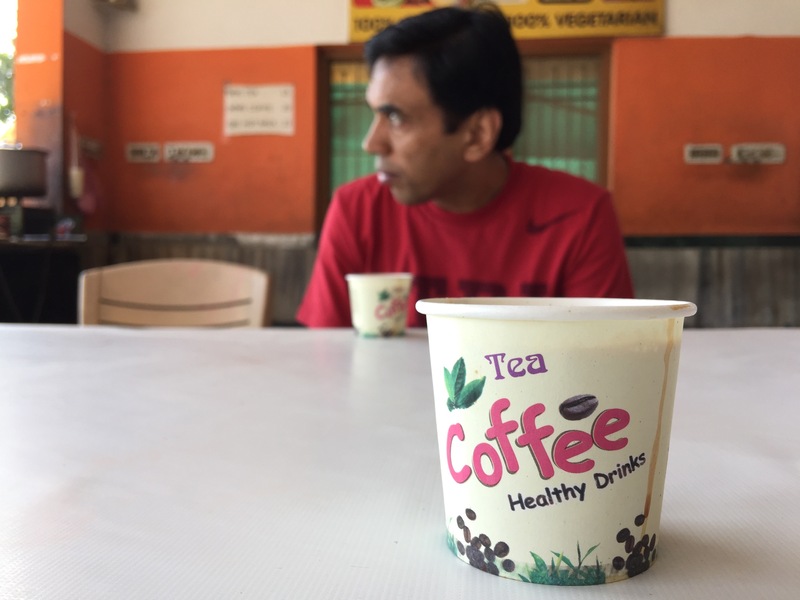 Leaving Udaipur and stopping at a local dhabba for breakfast. 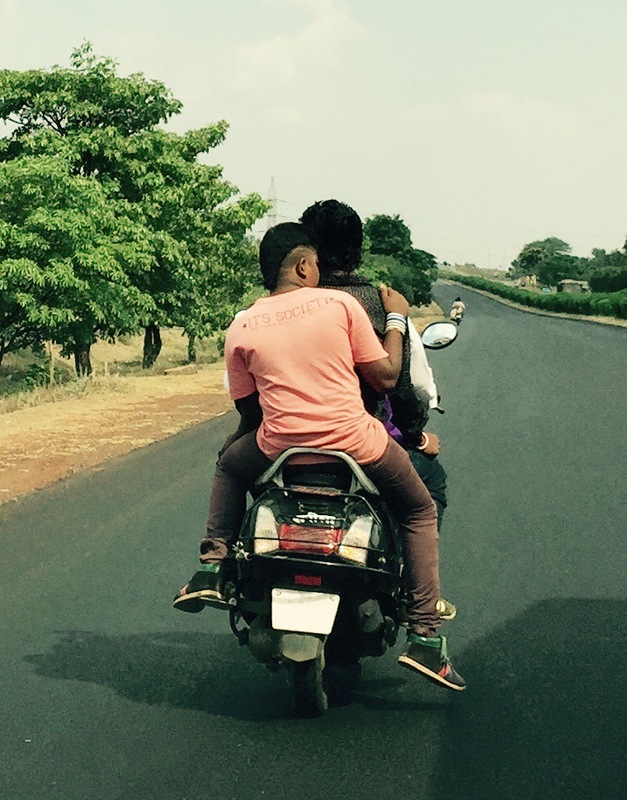 Driving through Gujarat was a flat and dry stretch. 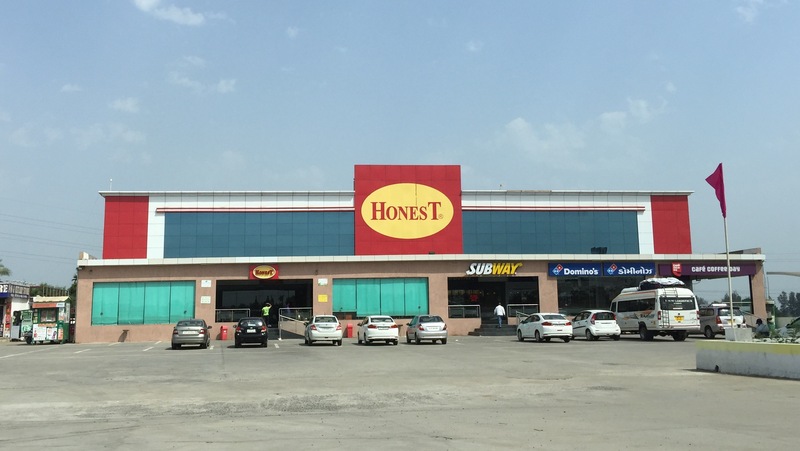 Most restaurants here are called either ‘Decent’ or ‘Honest’. We had lunch at ‘Decent’ restaurant. We stayed the night at a friends place in Bandra. Day 3. 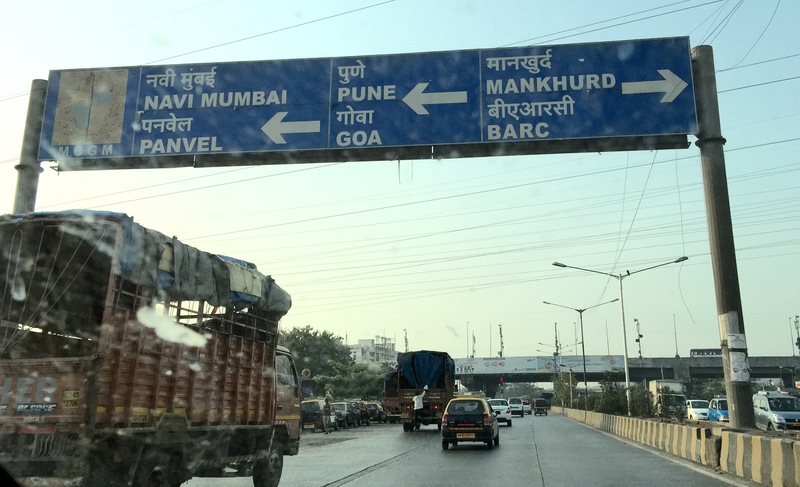 In the morning we blasted out of Mumbai in a hurry since we had to clear 800 kilometers that day. A cat was waiting on top of our ride. 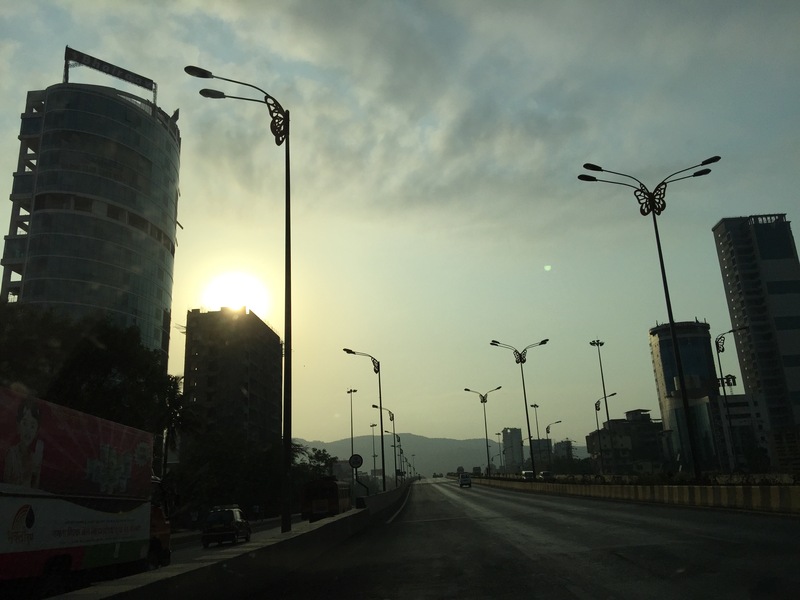 Pune Expressway is one of the best kept roads in India. The highway is wide and there are least chances of bicycles and dogs jumping out from either sides. We belted the Punto to 150kph for a few seconds. The heat catches up with us. It is close to 40 degrees. Entering Karnataka. The climate gets cooler and greener. Haircuts get more interesting. 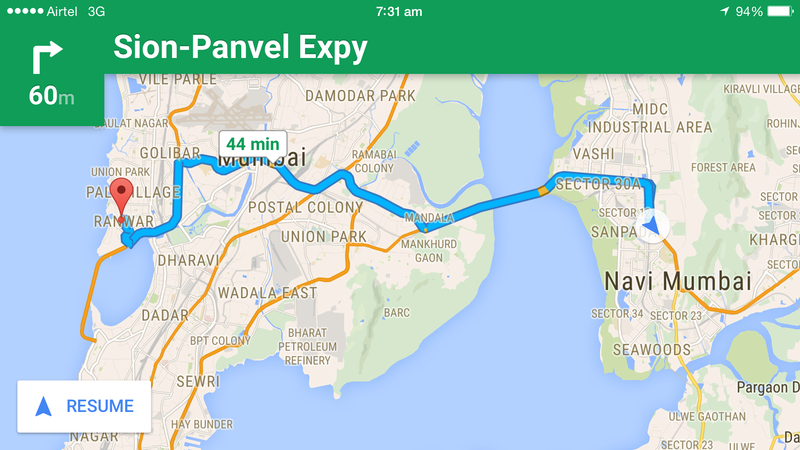 If you have time, ideally go to Goa from Mumbai. 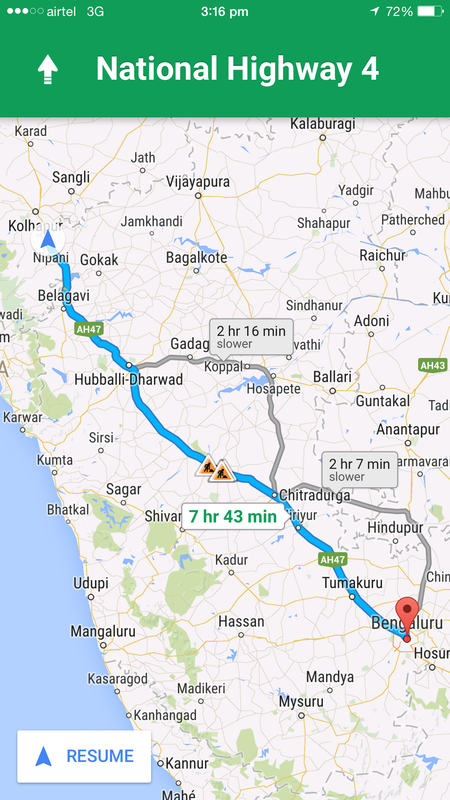 Since we have to rush, we drove staight from Mumbai to Bangalore in the same day, which was 1000 kilometers. 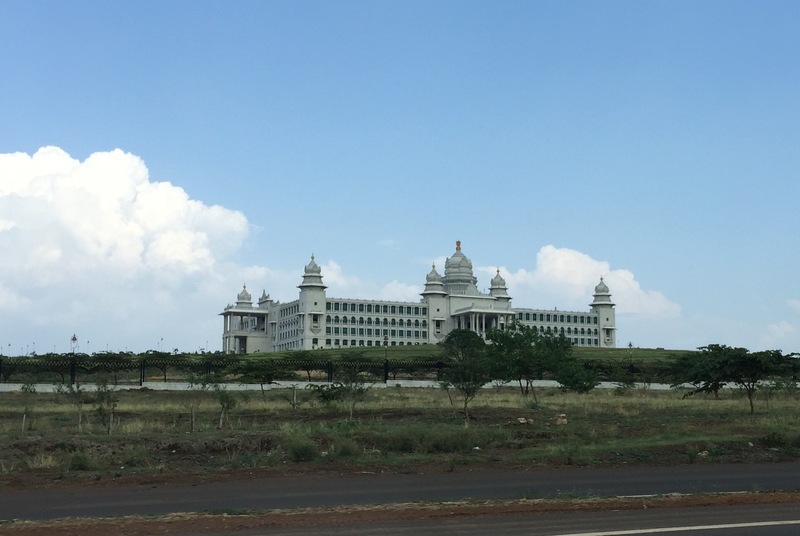 Suvarna Vidhana Soudha on the way to Bangalore — at Belgaum, Karnataka. The weather improves in Karnataka. 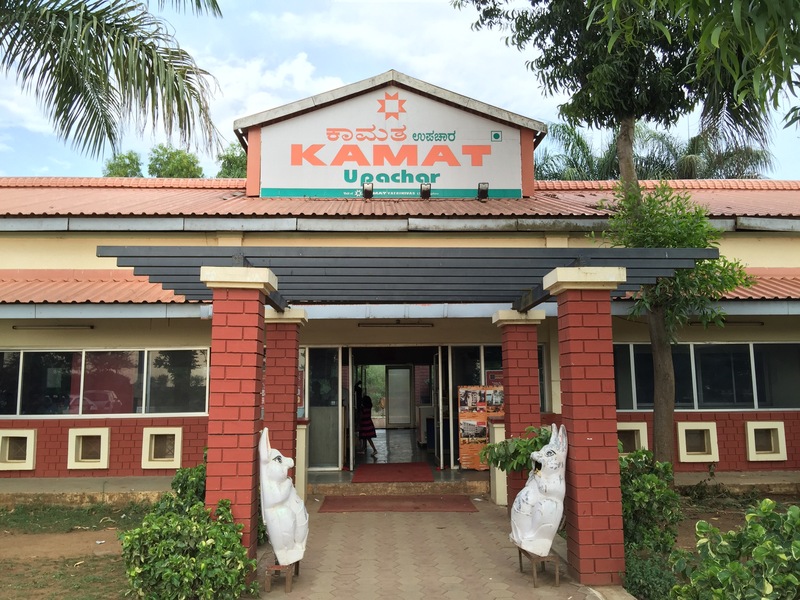 Stopping at a Kamat Upachar restaurant. We also found nitrogen for the car tyres in Kohlapur. We stopped for dinner at Devenagree. This little town has a restaurant called Sriguru Kotureshwara Butter Dosa hotel. The place is crowded and after you get a seat, there is a 20 minutes waiting for your dosa. All that is served is a butter dosa, coconut chutney and a dollop of mashed potato. In Bangalore at the Big Brewsky micro brewery in Serjapur. Awesome place. Took an overnight bus to Calicut, Kerala. Went out with my cousin to buy fish at Puthiappa Harbour. 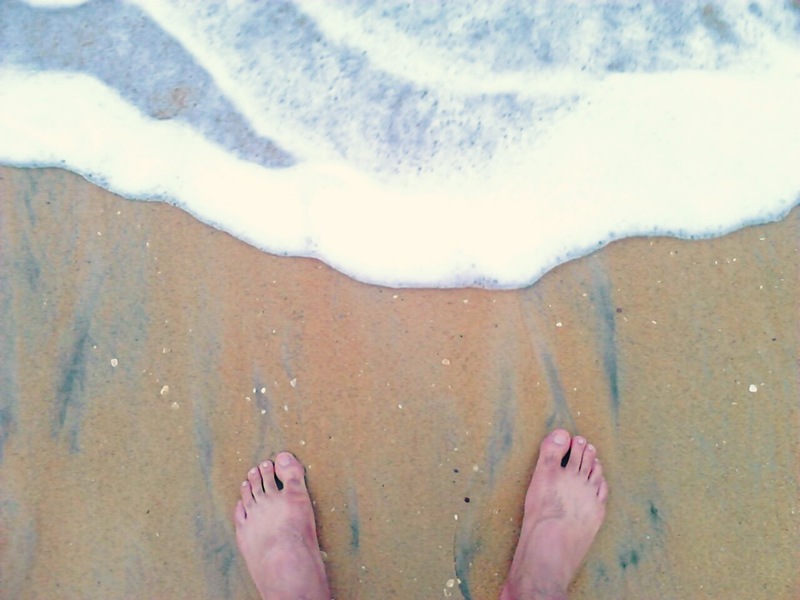 The distance one has to travel for that feeling of the ocean slipping under your feet. 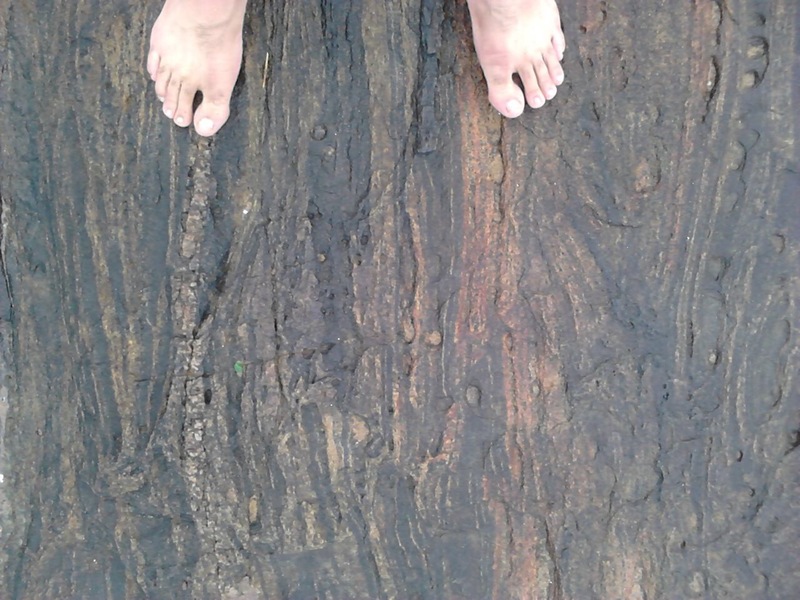 Rock texture at Kapaad beach, Calicut. 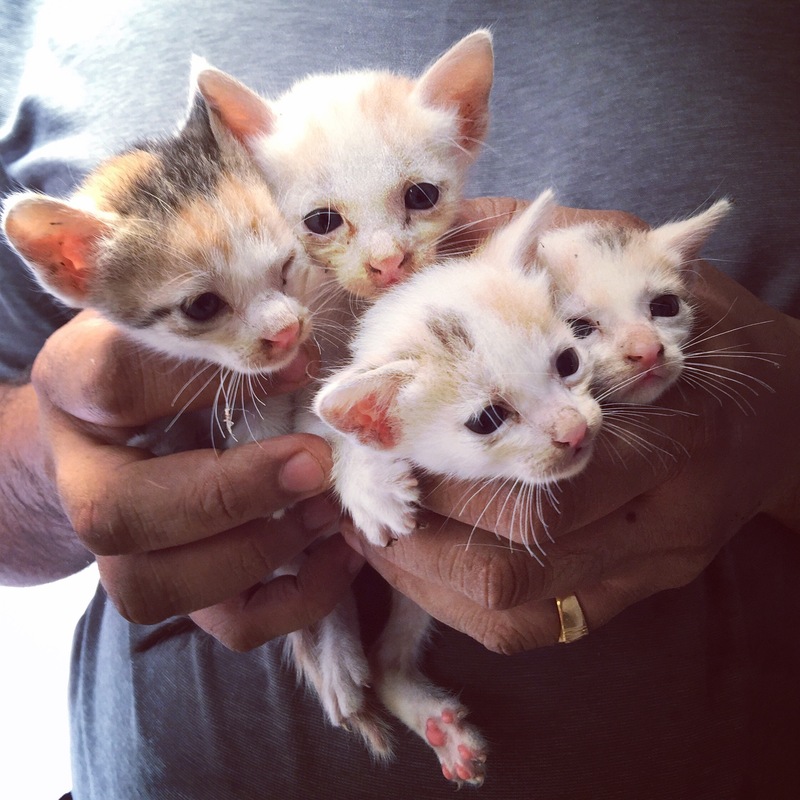 15-day old kittens in the ancestral home. 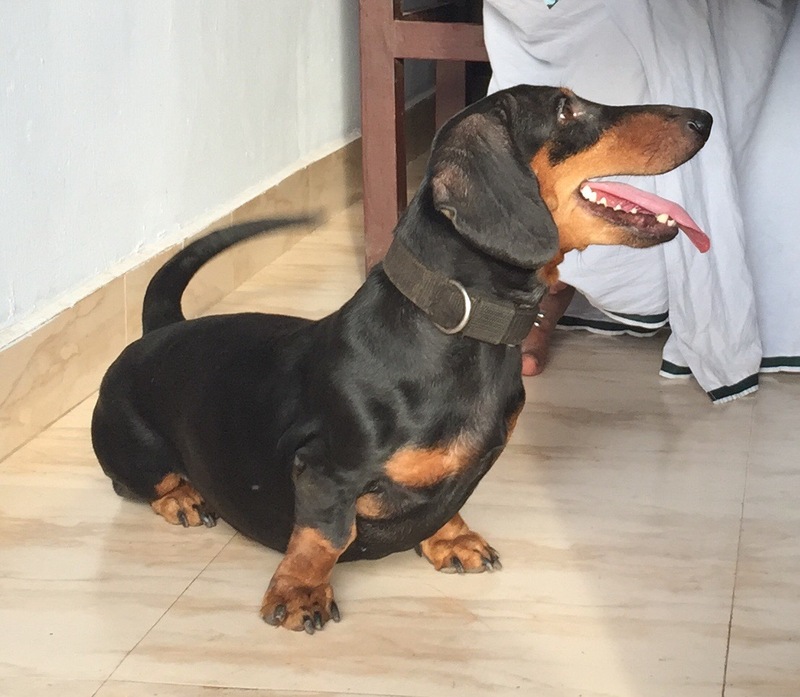 Chakki is the family pooch. 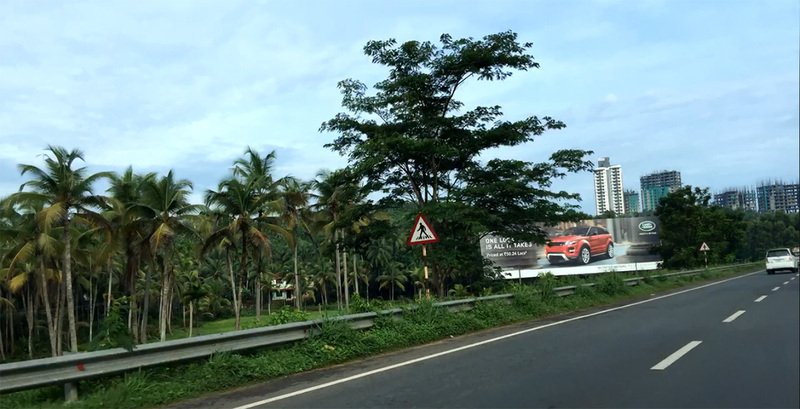 Green landscape with coconut trees with a Luxury car ad tossed in. 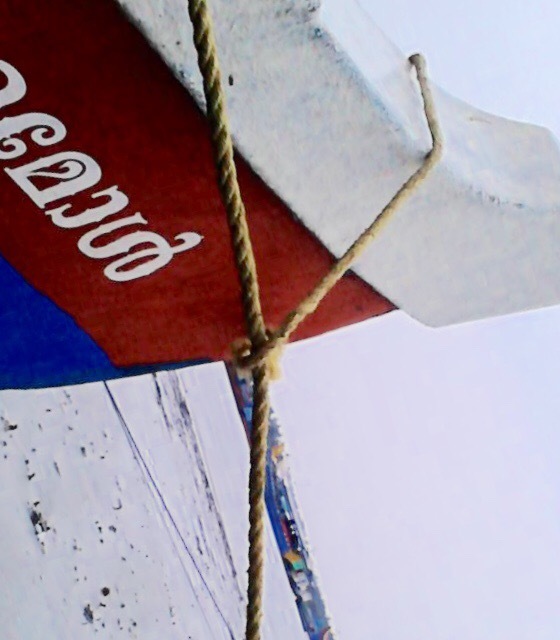 Thats Kerala in a snapshot! Wacky trip ends. 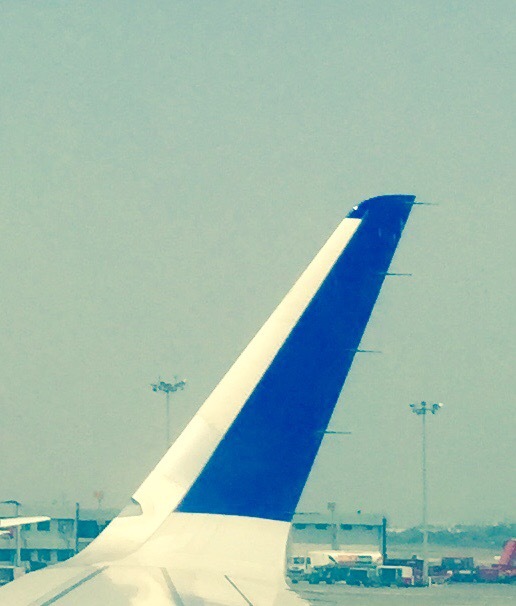 I take a flight back to Delhi. The whole trip took 8 days.